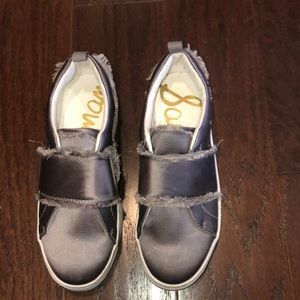 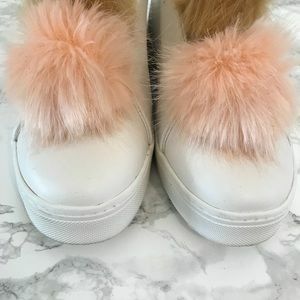 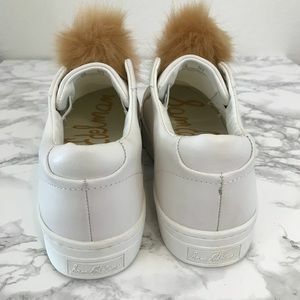 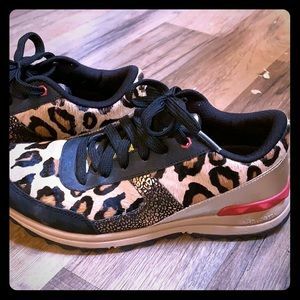 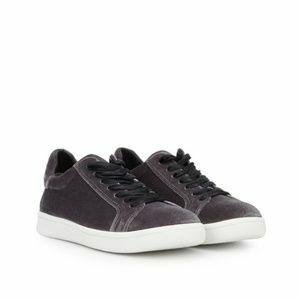 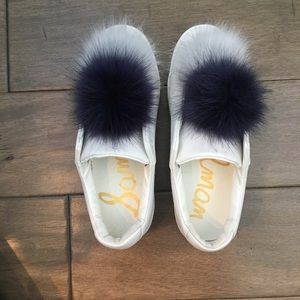 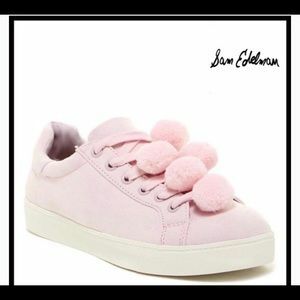 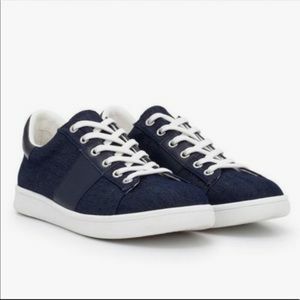 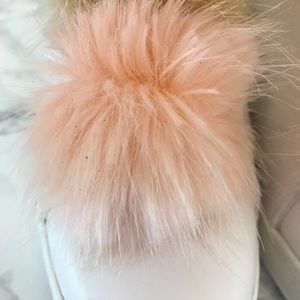 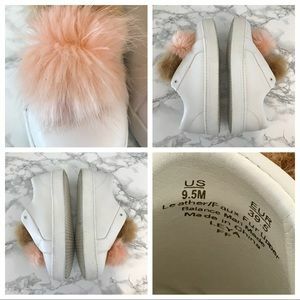 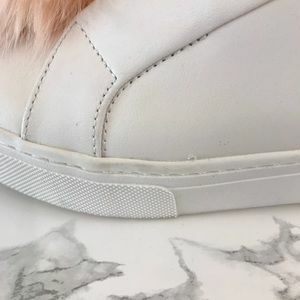 This Sam Edelman sneaker features fluffy faux fur pompoms! 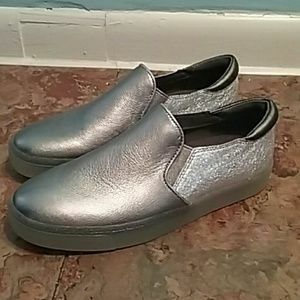 Padded Footbed Platform Cupsole Slip-on style Grip Sole Style #E8362M1 In used condition. 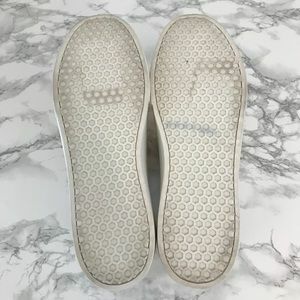 There is wear on the sole. 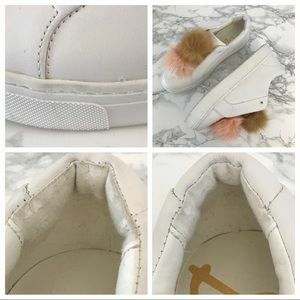 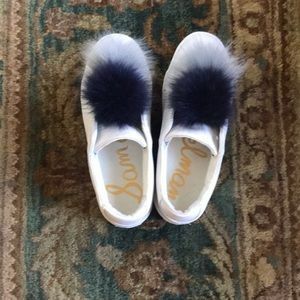 There are smudge marks on the shoe sides and some damage to the pompoms as shown. 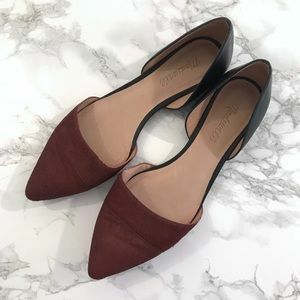 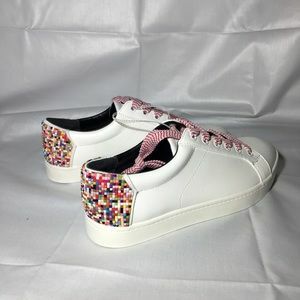 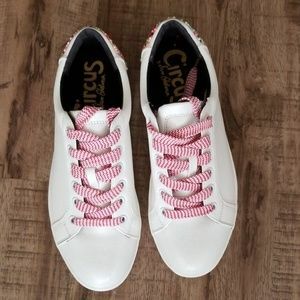 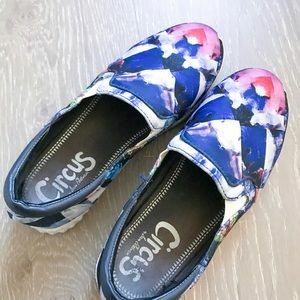 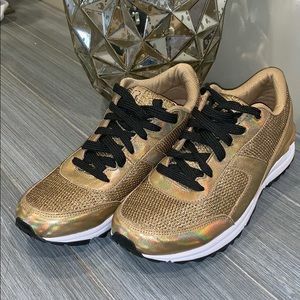 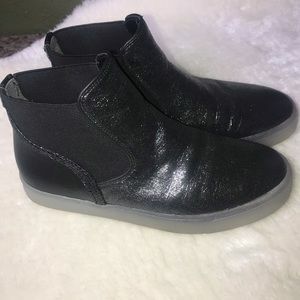 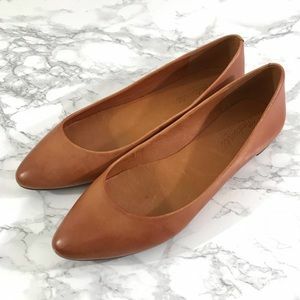 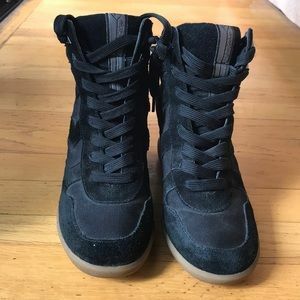 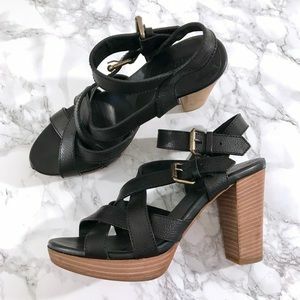 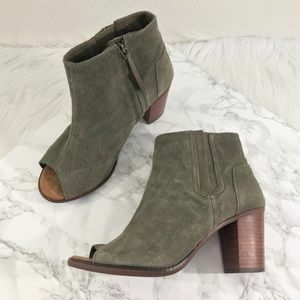 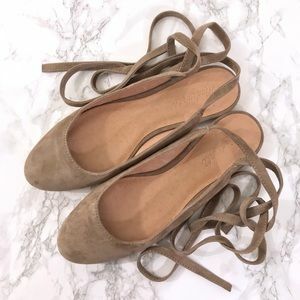 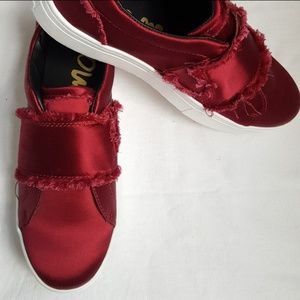 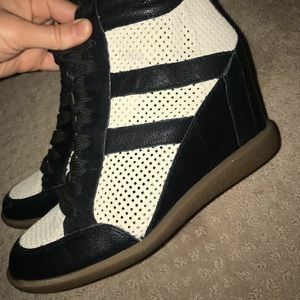 There is also wear on the inside of the shoes. 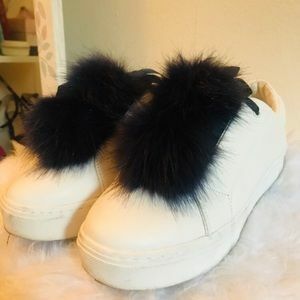 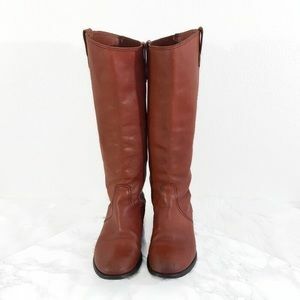 Leather and faux fur upper, Synthetic lining and sole. 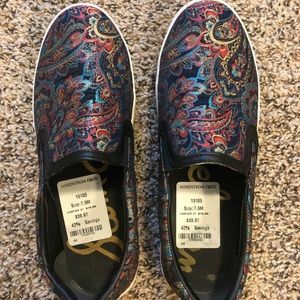 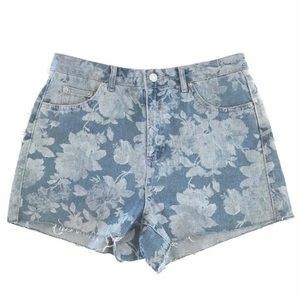 Sam Edelman paisley slide ons 7.5 great cond. 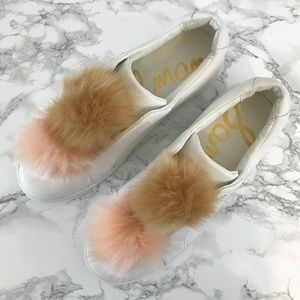 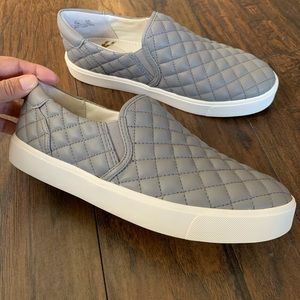 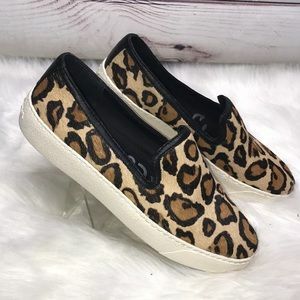 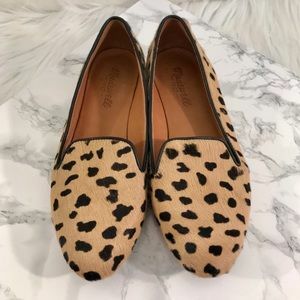 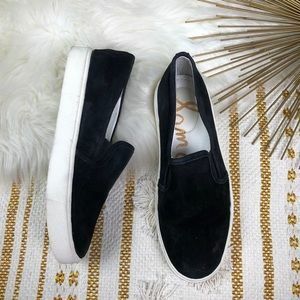 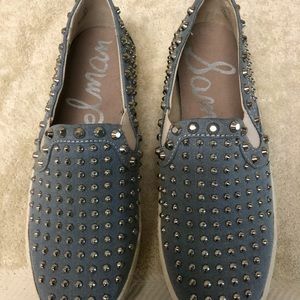 Cutest slip ons! 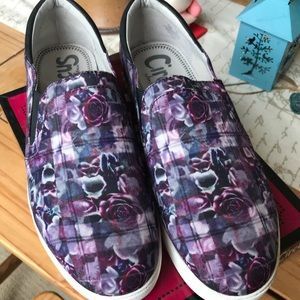 Fun Rose design! 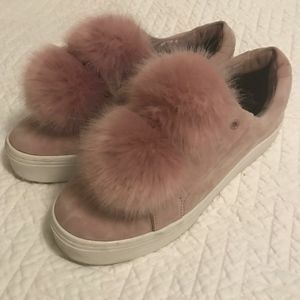 Gently used!